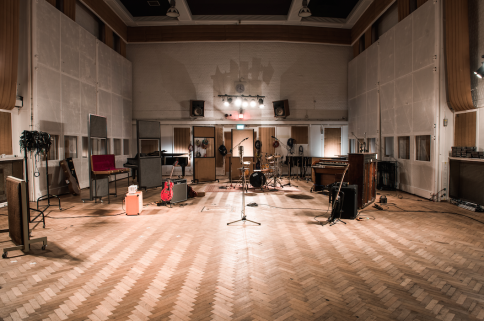 Converse just announced the global launch of a monumental new Converse Rubber Tracks program that opens the doors to some of the world’s greatest recording studios in music history. Over a two-week period, Converse Rubber Tracks will activate across eight different countries in four continents, offering aspiring musicians the once-in-a-lifetime opportunity to record original music at 12 landmark studios, including the two Converse Rubber Tracks studios, at no cost. Global registration began Tuesday, May 26 and runs through Wednesday, June 24, featuring an online submission process that requires applicants to rank their top three studio preferences, and encourages all to enter a brief artist biography or description via a video or written application. If selected, chosen artists will be notified in early July. Following a thorough planning session with studio producers, artists chosen will be taken to one of their studios of choice in September this year, with most travel accommodations arranged and select expenses covered by Converse.